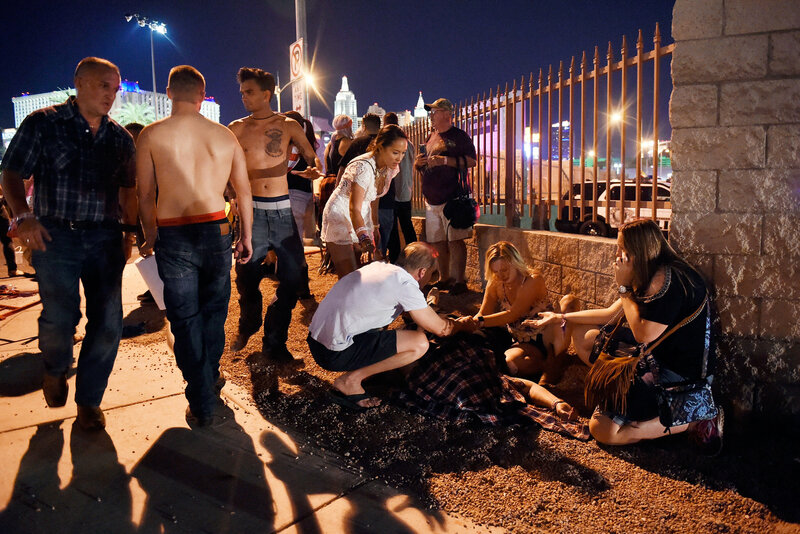 A gunman firing from a Las Vegas hotel rained a rapid-fire barrage on a huge outdoor concert festival on Sunday night, sending thousands of people fleeing until SWAT units found and killed him. 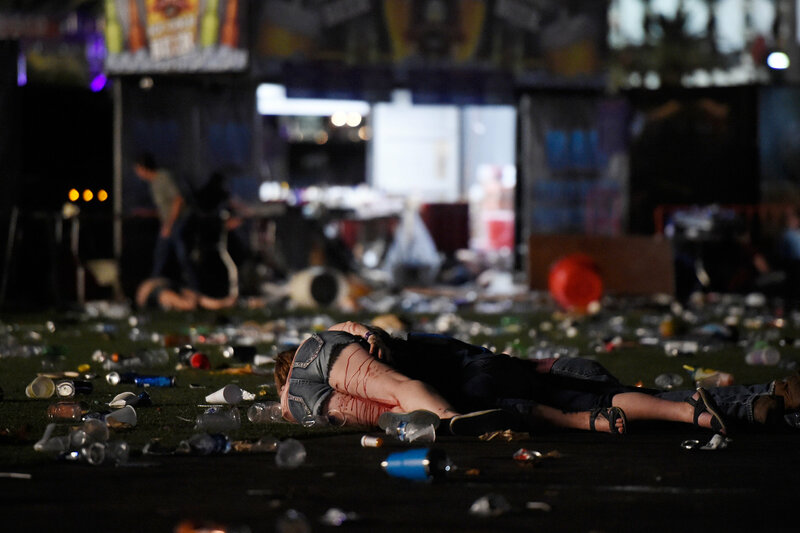 More than 50 victims died, and at least 200 others were wounded, officials said, making it one of the deadliest mass shootings in United States history. Several SWAT teams were sent to the hotel immediately after the first reports of the shooting at 10:08 p.m., and officers overheard on police radio reported being pinned down by gunfire. 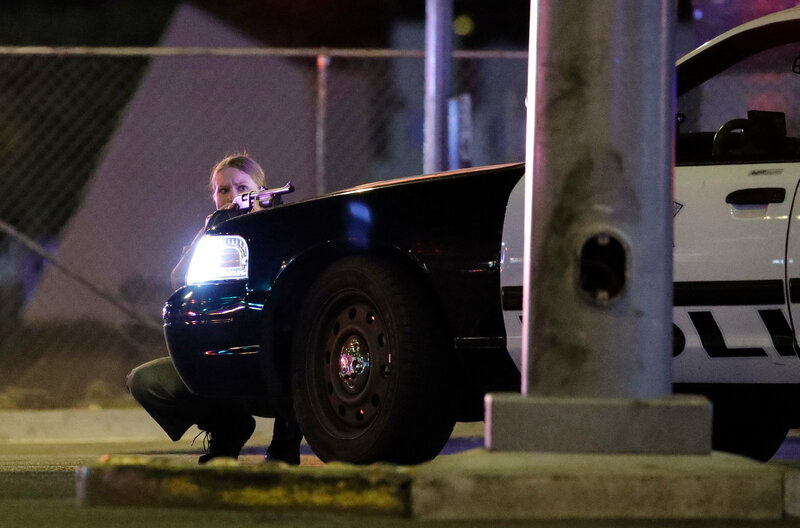 Shortly before midnight the Las Vegas Metropolitan Police Department reported that “one suspect is down,” and soon thereafter the police said they did not believe there were any more active gunmen. Video of the shooting captured nine seconds of rapid-fire, continuous bursts, followed by 37 seconds of silence from the weapon amid panicked screaming. The barrage of gunfire then erupted again in at least two more rounds, both shorter than the first. 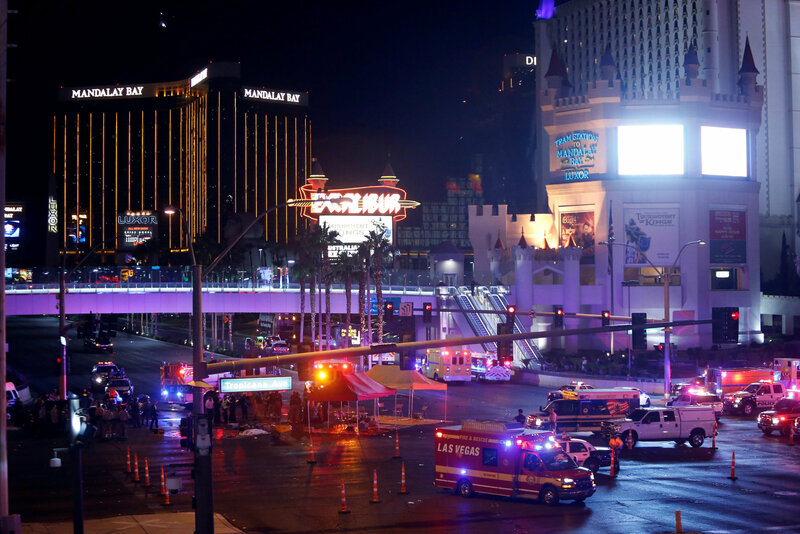 In the confusion after the shooting, the police also descended on the Ali Baba Restaurant, about a 10-minute drive from the Mandalay Bay, and they also investigated reports of a shooting at the New York-New York Hotel and Casino, not far from the concert ground. The police reported clearing out the Mandalay Bay’s 29th floor and working their way up to the 32nd floor. A police Twitter post described reports of an “active shooter” near or around the Mandalay Bay casino. Two concertgoers described hearing round after round of gunfire. They said they saw about 20 people bleeding in the street. “That’s when we knew for sure it was real,” said her companion, Matt Webb. The Route 91 Harvest Festival bills itself as “three days of country music on the Vegas Strip,” and Sunday night’s performance was the last of the festival. The site of the concert, the Las Vegas Village and Festival Grounds, run by MGM Resorts, sprawls over 15 acres and has a capacity of 40,000 people. The festival’s website said this year’s three-day concert was sold out.